After brief teaching appointments at the Meridian campus of Mississippi State University and Ozarka College, Dr. Brooks Blevins returned to his undergraduate alma mater, Lyon College, initially as director of the Regional Studies Center and later as an assistant professor of history. In 2008, he came to Missouri State as the university’s first Noel Boyd Professor of Ozarks Studies. Building on a long tradition of leadership in the academic study of the Ozarks region, Missouri State created the Noel Boyd Professorship to develop and teach a multidisciplinary array of courses. As the Noel Boyd Professor of Ozarks Studies, Blevins shepherded the Minor in Ozarks Studies into creation in 2010, chairs the university committee that oversees the minor, and teaches the minor’s two core courses. 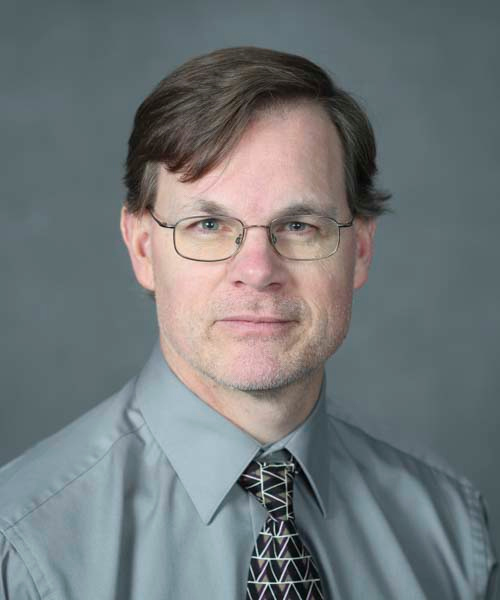 Though Blevins came to Missouri State as a multidisciplinary expert on all things Ozarks, he is a respected scholar with a broad range of interests extending from the history of American higher education to agriculture, religion and society in the U.S. South. He has written seven books and edited or co-edited two additional volumes. In addition to these works, he serves as the editor of the University of Arkansas Press’s Chronicles of the Ozarks Series and Ozarks Studies Series. Blevins also produced and co-wrote the liner notes for two collections of recordings of traditional Ozarks music: Sounds of the Ozark Folk: The 1963 Arkansas Folk Festival and Sounds of the Ozark Folk, Volume II: Middle Americana. Blevins currently serves on the editorial boards of the Arkansas Historical Quarterly and the Missouri Historical Review, co-hosts regional history and culture segments on Ozark Highlands Radio, and chairs the Ozark Folk Cultural Center Commission, which oversees Arkansas’s Ozark Folk Center State Park. A History of the Ozarks, Vol. 1: The Old Ozarks (Urbana: University of Illinois Press, 2018). Ghost of the Ozarks: Murder and Memory in the Upland South, (Urbana: University of Illinois Press, 2012). Arkansas/Arkansaw: How Bear Hunters, Hillbillies, and Good Ol' Boys Defined a State (Fayetteville: University of Arkansas, 2009). Lyon College, 1872-2002: The Perseverance and Promise of an Arkansas College (Fayetteville: University of Arkansas, 2003). Hill Folks: A History of Arkansas Ozarkers and Their Image (Chapel Hill: University of North Carolina, 2002). Cattle in the Cotton Fields: A History of Cattle Raising in Alabama (Tuscaloosa: University of Alabama Press, 1998). Historian and author Dr. Brooks Blevins contributes to the documentary. Historian and author Dr. Brooks Blevins is interviewed for "Back Road Barns," a film that visits historic barns throughout Arkansas. Historian and author Dr. Brooks Blevins serves as guest host for a variety of shows. Historian and author Dr. Brooks Blevins shares the history of the Ozarks. Historian and author Dr. Brooks Blevins Brooks Blevins talks about his book, History of the Ozarks, Vol. 1: The Old Ozarks.